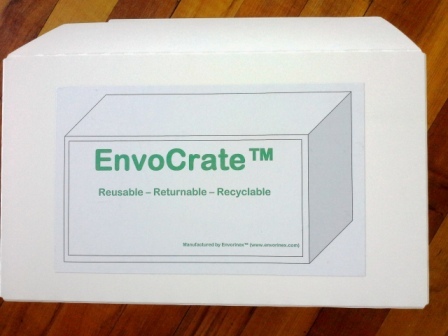 EnvoCrate™ reusable, returnable, recyclable packaging. 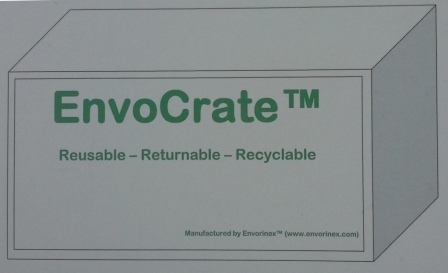 EnvoCrate™ is designed to be reused multiple times, it can be flat packed, returned to the packaging factory and at the end of it's design life can be returned to Envorinex™ for complete recycling and conversion into a new EnvoCrate™. EnvoCrate™ can be supplied in our standard size or to varying sizes upon request. 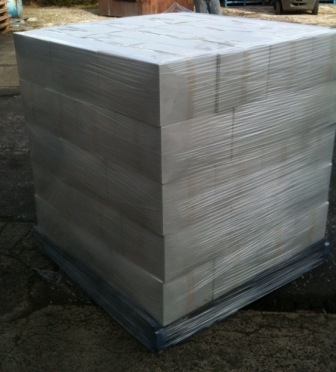 EnvoCrate™ is strong and our standard size has been pallitised and tested to hold 15kg each. EnvoCrate™ is lightweight which makes it ideal for flat packing and returning to your factory for repackaging. EnvoCrate™ has been tested in-house to perform fifty returns depending on such isses as forklift operators and training of packaging personnel not to use stanley knives for opening etc. EnvoCrate™ contains no heavy metals. 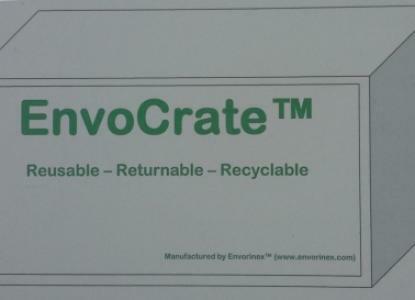 EnvoCrate™ has as guaranteed recycling pathway. EnvoCrate™ standard size allows for sixty crates per pallet. 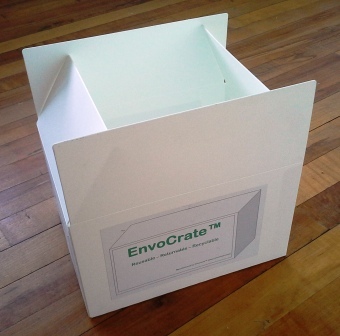 EnvoCrate™ allows for 100% of packaging to now be diverted from landfill. 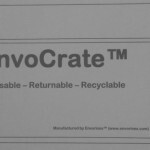 EnvoCrate™ is 100% recyclable for full conversion. 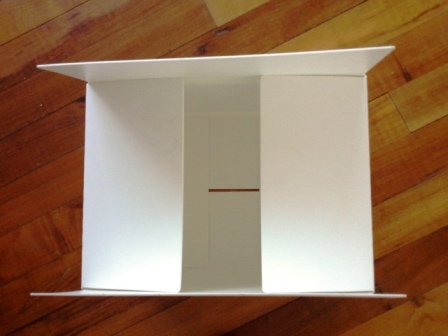 EnvoCrate™ offers a guaranteed complete closed loop packaging method.